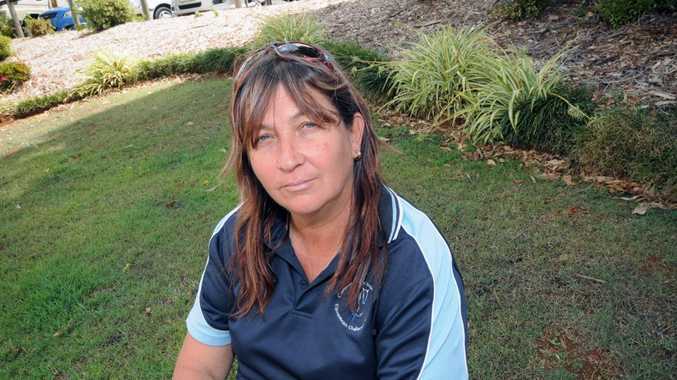 WOODBURN Rural Fire Service volunteer Raylene Davis' former boss at Rich River Coffee has threatened to sue her after she publicly revealed her shifts were cut for leaving to fight the dangerous Blue Mountains fires. Ms Davis was one of 54 Northern Rivers RFS volunteers who travelled to Sydney on October 20 to help battle bushfires in the Blue Mountains region. She said when she returned and contacted Rich River Coffee owners Jodie and Mark Waters, she was told she wouldn't be getting any more shifts. Mr and Mrs Waters deny this. Attempts to contact the couple yesterday were unsuccessful. However, Mark Waters last week told The Northern Star: "We haven't said we aren't going to give her any more shifts, that's a load of lies. She won't get her regular shifts for leaving us in the lurch like she did. She will get work when we can find her work." Ms Davis said she was shocked to read a letter from Mr and Mrs Waters's solicitor threatening legal action for defamation last Friday. The letter states, "our client strenuously denies the contents of the article which was published (sic) is largely about you in the Northern Star on the 29th of October 2013." "At no stage, we are instructed, were you fired from your position." "We are instructed that upon your return from Sydney you contacted our clients and were advised that whilst there were no shifts available for you at that time, they would contact you in the near future in the hope they could reinstate your work hours." "The statements which you have allowed to be made about our clients are defamatory in nature, and we today place you on notice that we require you to contact the Northern Star and immediately retract the allegations made therein. "Should you fail to act in accordance with our request, then our clients may take it upon themselves to commence proceedings for remediation, without further notice." The NSW RFS Commissioner had attempted to contact Raylene's employer to work out the facts surrounding this case. "We're hopeful a resolution can be reached," a spokesman said.